The following discusses a feature that is not officially supported and may stop working at any time. 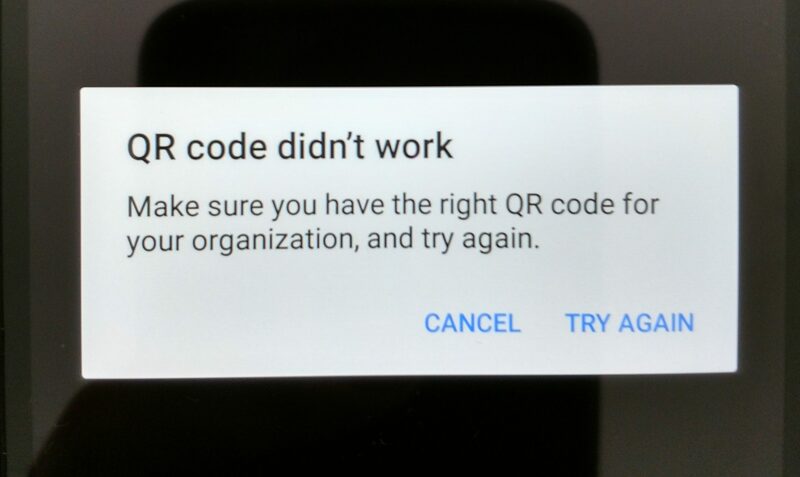 Use it as reference or learning experience to better understand the generation and validation of QR code enrolment with Android Enterprise rather than relying on it within your/another organisation for MobileIron enrolment unless support is officially announced. 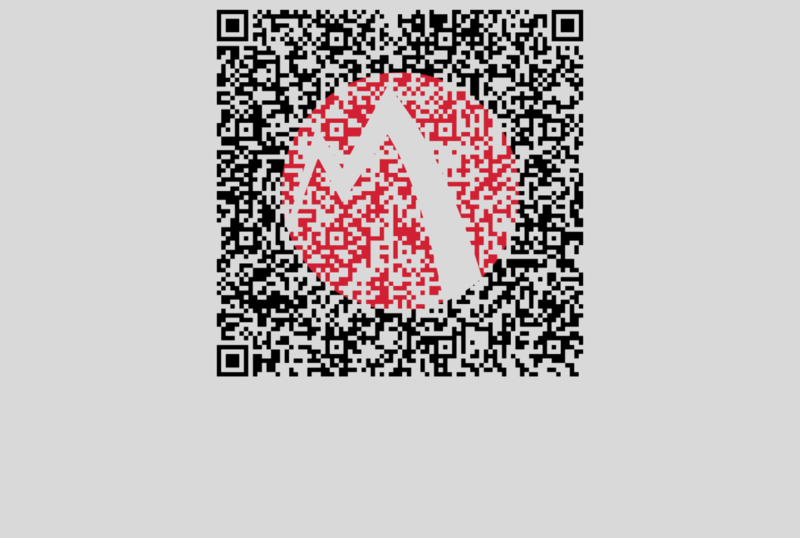 The QR codes below point to the respective APK files hosted on my own server and not that of MobileIron. This is entirely due to the fact the QR codes will cease to function when the APKs are updated (and the checksum changes). As this is only demonstrating a proof of concept, hosting potentially out of date APK versions is not what I’d consider a problem, however I strongly advise you generate your own QR codes using the more official document I’ve created here and, as above, use the below only for testing the process. 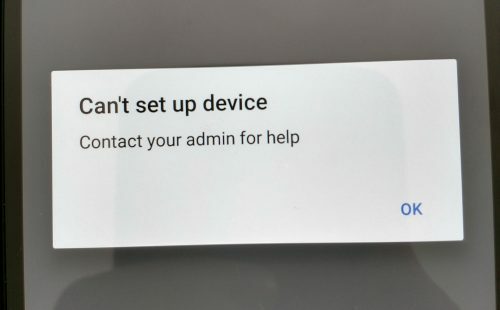 Android Enterprise supports a few options for provisioning devices destined to be work-managed, an NFC bump, a wireless enrolment token and, more recently, QR codes. For GSuite users there’s also the option to simply enrol using your corporate email address at the Google account prompt, but for Android Enterprise managed accounts we need to rely on the three mentioned above. I’ve badgered MobileIron a little bit recently on ETAs for rolling out QR support as AirWatch already provides this but haven’t received any firm information (nor would I share roadmap info here either, of course). But when I saw how straightforward the raw code for generating an AirWatch QR code looked, I started to ponder. 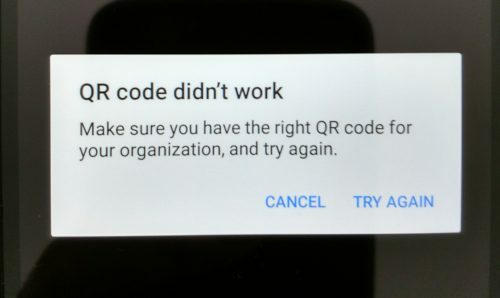 Fundamentally the requirements for QR provisioning should already be baked into the Mobile@Work (and MobileIron Go) apps as the same components are used with NFC and token enrolment. The only thing missing as I saw it was the legwork to pull this existing information together in order to generate it as a QR. Tried again, this time I got a message to say “Can’t set up device”. This was progress. Noting the differences between MobileIron and AirWatch on android.app.extra.PROVISIONING_DEVICE_ADMIN_COMPONENT_NAME I figured this was the next item to focus on. Since AirWatch already provided the string to find in the app, finding the same in MobileIron’s should be simple, or so I thought. APKs are really just archives, I therefore extracted the contents of both the AirWatch and MobileIron agents and started looking. A couple of days passed here as I jumped in and out of this while doing other things, but eventually gave up; the component name I was looking for wasn’t presented in plain text in either app. Plain text is the key, because I then wondered if the app sources were obfuscated. After a little Googling and chatting with Android devs I stumbled across Apktool, a free, open source utility for decoding Android apps back to their original (or near enough) source code. Running it against AirWatch first I was – for the first time so far – able to open and freely read the contents of the Android Manifest file. Searching for DeviceReceiver took me directly to it, and a permission it uses, android.permission.BIND_DEVICE_ADMIN. Generating a new QR code against this got me further again! 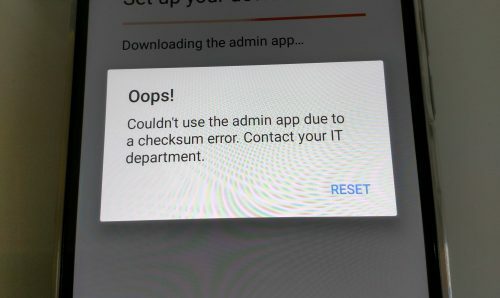 This time I received a checksum error – indicating there was a mismatch between the APK and the checksum I provided, both listed in the NFC payload and supposedly therefore fine. It took well over a week and 150+ factory resets on multiple test devices to get it up and running. Perhaps if I was a developer I’d have cracked it sooner, but nevertheless perseverance prevailed and I can now make use of QR codes before they’re officially supported! What do you think of QR codes? Do you prefer them to other enrolment methods? Are you an end-user or administrator? Let me know your thoughts in the comments,@jasonbayton on twitter or @bayton.org on Facebook.